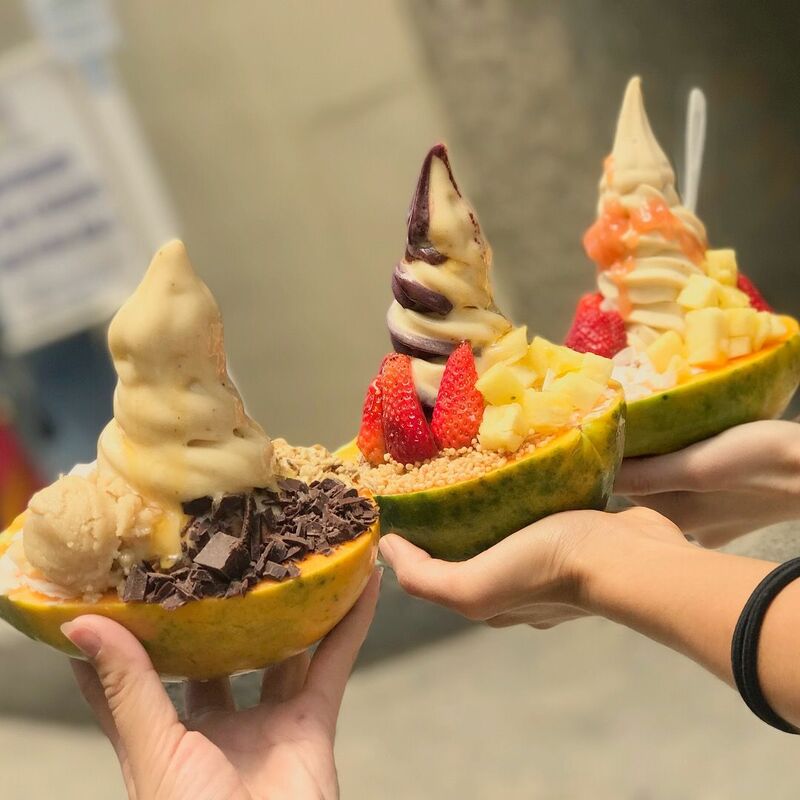 Locals and tourists are going bananas for Banán’s nondairy, banana soft serve creations available at four Honolulu locations (about 45 minutes from Ko Olina Beach Villas). Visitors can enjoy up to seven different flavors offered in nine different creations, including floats. One of their signature items is a Papaya Boat, which allows guests to eat their dishware. They use locally sourced foods and buy at least 90 percent of their ingredients from the Islands. This approach ensures the freshest and most flavorful product for consumers and supports local farms and suppliers, It also helps the environment by reducing the need to import food and burn additional fossil fuels. Banán closes the food waste loop by returning their banana peels and other food waste to Waiahole and Waianae farms, which helps feed the pigs or make compost. For more information about their menu, locations, farm suppliers, and more, visit https://www.bananbowls.com/. This entry was posted in Things to Do - Ko Olina and tagged Hawaii, Honolulu, Honolulu Things To Do, Ko Olina, Ko Olina Beach, Ko Olina Beach Resort, Ko Olina Beach Villas, Ko Olina Beach Villas Resort, Ko Olina Paradise, Ko Olina Resort, Oahu, Oahu Things To Do, Things to do in Hawaii, things to do in Oahu. Bookmark the permalink.